Mr Vaz and I found ourselves at a security door which required a pass-card to get through – I had mine, but he’d forgotten his. 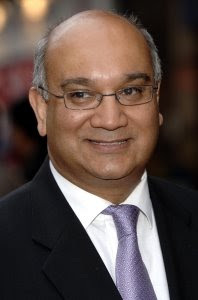 Soon two other hacks had gathered for the spectacle and I decided it best to release Vaz. He might have needed the toilet and the carpets along committee corridor are exquisite. 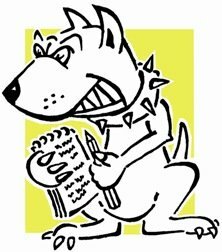 For the Evening Post Lobby Correspondent's full column pick up the paper tomorrow. I'll link in next week. Genius. Steen was the Totnes Tory MP who claimed bundles of cash for his country estate. Now that I have a chance, this is what Labour rebel Graham Allen told Lobbydog after the PLP meeting the other night. He said he’d decided to take part in the plot to topple Brown after considering the impact a Tory Government would have on his constituency. “I’ve been there before, as a Labour MP under a Tory Government, and it’s very difficult to get your voice heard and to get things done. 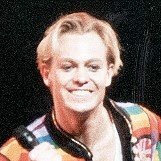 He added: “I made my point of view known publicly and I wouldn’t have been able to live with myself had I not. But we are all grown ups here and now this issue is history. Note that he said he'd support the Government of the Prime Minister, rather than the Prime Minister himself. 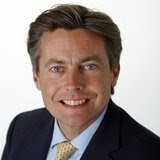 Is it me or does our new Culture Secretary Ben Bradshaw (left) look a bit like he could be the lead out of Joseph and the Technicolor Dreamcoat (right). It's something to do with the hair - as one lobby colleague commented last night - it's just so thick and glossy. Predictably there's been a whole bunch of these short films made since Alan Sugar was appointed to his new Government role. Actually scratch that, it's a role 'with the Government' not a Government role. Anyway, this one dealt with a couple of issues rather than just being a slagging fest – it's worth it just for the shot at the end of Brown leaving the boardroom. I've never seen a room quite so full as Committee Room 14 was last night for the Labour meeting. The doors, which opened inwards, were jammed shut from the inside - too many bodies pushing against them - a full ten minutes before the thing began. Then ten minutes later there was a long banging noise from inside. People said it was MPs thumping the tables in support of Gordon Brown. But it crossed my mind that they might actually all be banging on the door to get out in a last ditch attempt to avoid suffocation. 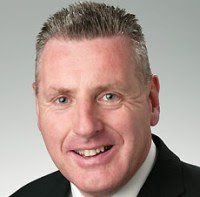 Vernon Coaker is getting shunted across from the Home Office to the Department for Children, Schools and Families. A position dealing with schools might suit him better given that he's a former teacher. 1) He won’t find himself talking about unruly youths all the time…er, actually scratch that one. 2)He won’t have to deal with a huge, monolithic group of public servants, who believe they’re overworked, underpaid and working in an impossible system…oh. Scratch that too. It’s apparently a reward for the Notts MP’s loyalty to Gordon. The ultimate bonus is that he gets to work under Ed Balls now – something we’d all give our right arms to do. DAVID Blunkett has vowed to return to Westminster this week despite suffering injuries after being charged by an enraged herd of Derbyshire cows. It looks like Brown will make it through. Amazing when you think about it really. 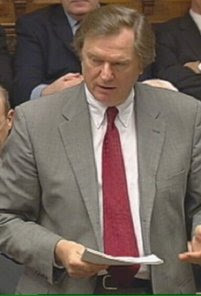 The resignations of both Blears and Purnell were direct challenges to the PM. Several junior ministers have stood down and there is a desire among some back-benchers for Brown's head. As one paper said this weekend "they couldn't organise a colostomy bag in a sewage works."